"Maria Moran's first inkling of trouble was the coppery taste in her mouth. It came suddenly, a rushing whoosh of something that made her gag, and when she reached to wipe her mouth, her hand came away smeared with blood." This story didn’t take long to get from 0 to 60. A few times I thought I was going to have to take a break because my heart was racing. Jill Raney is likable and courageous as the young intern; I was most anxious whenever she was doing her thing. A couple of times I advised her to behave, ‘don’t go stirring the pot’. She didn’t listen. She consistently put her career and her life on the line in order to get to the bottom of all that was suspicious at her place of employment. She is someone you definitely want advocating for you. David Levine is her resident supervisor and romantic interest. Think Thor without the Hammer. I think he was best when in charge of a patient in distress. He’s definitely the one you want attending if you’re ever brought in to the ER. Okay, so they work in a fertility and genetic engineering hospital. A place where you go to get help in getting pregnant which happens to be in close proximity to where genetic modifications take place. What could possibly go wrong? My first thoughts were is this a thing and is this legal IRL? The writing was good. 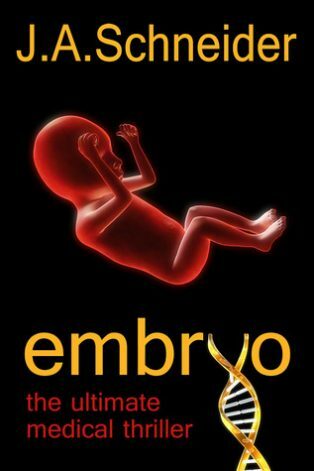 The author had me believing that some of the advancements in genetic modification that occurred in the story were possible. She painted a picture with her words detailing her world that it felt like I was right by Jill’s side running through the hospital. The characters were written well. A couple of them came across as so real that I wanted to punch them. This is not like me. I’m more of the let’s-hug-this-out-but-not-in-a-creepy-way type of guy, but Joyce (you think she’ll mind me being so informal?) had me contemplating violence. I would like to say that I figured why and how these women were dying, but the truth is that what I figured out was a teeny tiny general piece of the puzzle that IRL it would amount to no more than a lead and not the resolution of the case. I also pegged the wrong person as the villain. It’s always cool when I can’t figure out the who and the why of a mystery. So I absolutely love this review! Your writing is so fun to read, seriously 🙂 My favorite..
Again, I really enjoyed reading your thoughts on this, and this actually sounds like a worthwhile read with well thought out characters. Thank you so much Danielle for these very kind words. < ---- This is the best I could come up with after staring at this comment for the last 4.5hrs. Thank you and Aw shucks are my go-to replies because I don't handle compliments well. Anyway, it warms the cockles of my heart to know that you enjoyed this review. My goal is to effectively share my opinions of books I have read and if you happen to enjoy the manner in which I shared said opinions, even better.